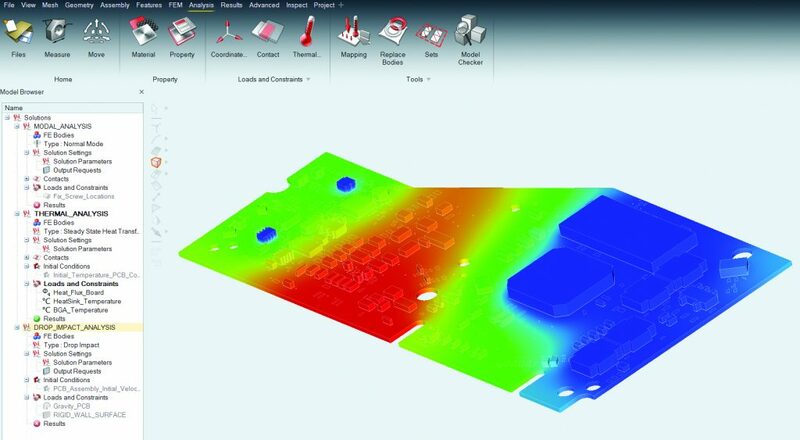 TROY — The Troy-based engineering technology developer Altair Engineering Inc. (Nasdaq: ALTR) has released Altair SimLab sT, a new version of its SimLab process-oriented finite element modeling software especially suited for solid element modeling. The unveiling came at Altair’s annual Global Partner Summit, being held in Dubai with more than 170 channel partners. Here and above are examples of the SimLab sT user interface. Altair photos. 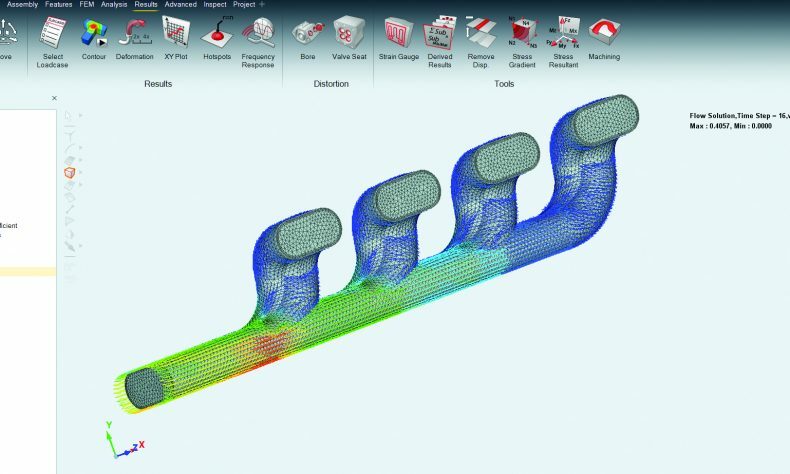 * New User Experience Opens New Markets – The new user experience further accelerates simulation cycle time and expands the addressable markets for high-end multiphysics analysis. This includes small and midsized manufacturers and design engineers responsible for developing product families sharing common and variant components. * Live, bi-directional syncing with popular CAD systems – Always stay in sync with the latest design level to evaluate performance and explore proposals with live connections to parametric CAD systems including CATIA, Pro/E, Siemens NX and SolidWorks. * Embedded Physics Solvers Enable CAD-to-Simulation in Minutes – The introduction of embedded physics solvers for statics, dynamics, heat transfer, fluid flow and electromagnetics provides a turn-key solution to accelerate multiphysics analyses, coupled simulations, and DOE studies from days and weeks to minutes and hours. * Freedom to Choose the Best Licensing Model for Maximum Value – SimLab sT is immediately available through Altair’s solidThinking and HyperWorks suite offerings. With distinct advantages and price points, customers now have the ability to select the licensing model that enables the right set of simulation capabilities at the best value to their organization. * SolidThinking Units (sTU’s) Licensing Option: Provides enterprise access to SimLab sT and all of the products available through the solidThinking suite offering. Sold through Altair’s valued channel network, the more attractive SimLab sT price point provides a compelling offering for SMB manufacturers and organizations starting or upgrading existing simulation capabilities. * HyperWorks Units (HWU’s) Licensing Option: Provides enterprise access to SimLab sT as well as the ability to access all Altair products available through the HyperWorks and solidThinking suite offerings. This licensing option also includes the broadest set of direct CAE readers to run 3rd-party solvers with Simlab and access to more than 150 Altair Partner Alliance applications. To learn more about SimLab sT, register for an upcoming introductory SimLab sT webinar taking place on Thursday, Feb. 7 or contact a regional representative at www.altair.com/simlabst. Altair operates 82 offices in 25 countries, with more than 2,000 employees, serving more than 5,000 cusotmers.